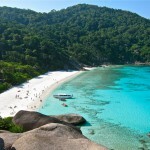 The Similan Islands are the most popular destination for snorkeling tours in the Khao Lak region. 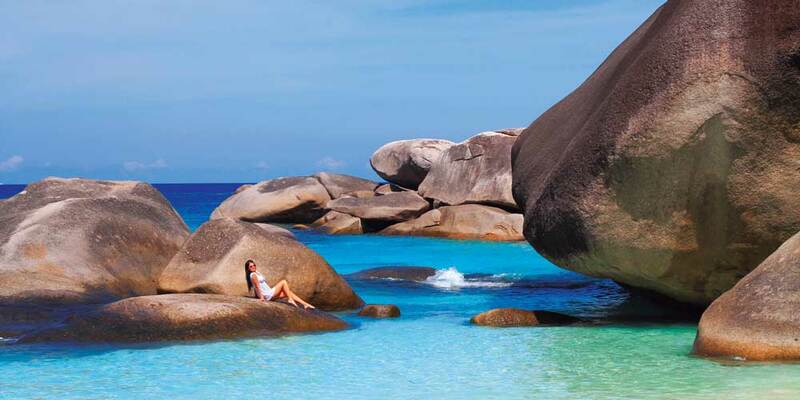 Spectacular granite rock formations rise from the azure sea, picturesque bays welcome visitors with white powdery beaches. Due to its breathtaking scenery, both above and under water, the Similan Islands are a very popular destination and stand firmly on the program almost every visitor in southern Thailand. 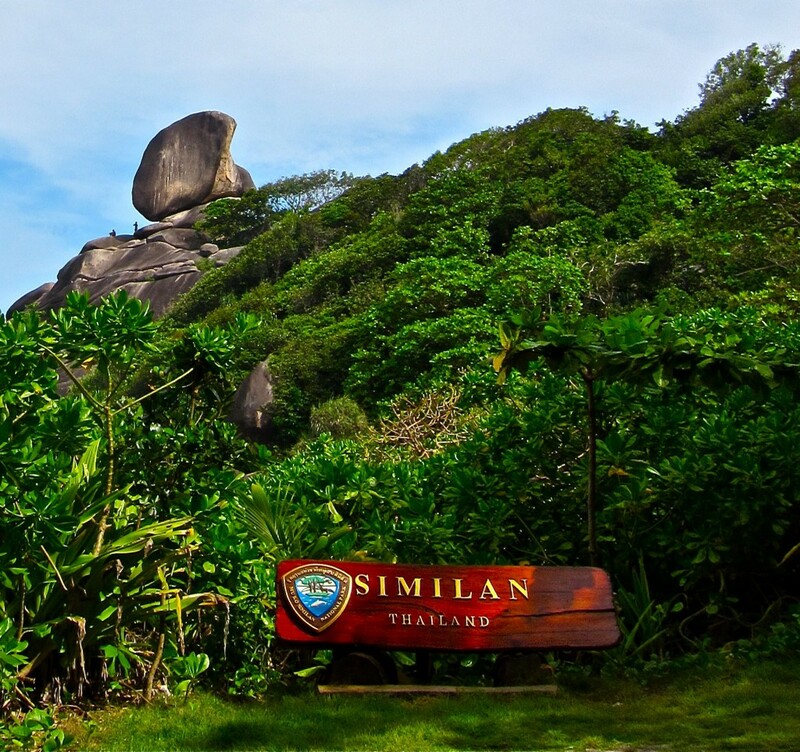 During the opening time of the Similan National Park – November to April – the islands are visited by several hundred guests every day. 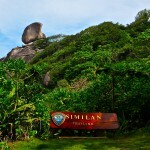 We bear this ever-growing number of visitors to the Similan bill and have adjusted our tour accordingly. 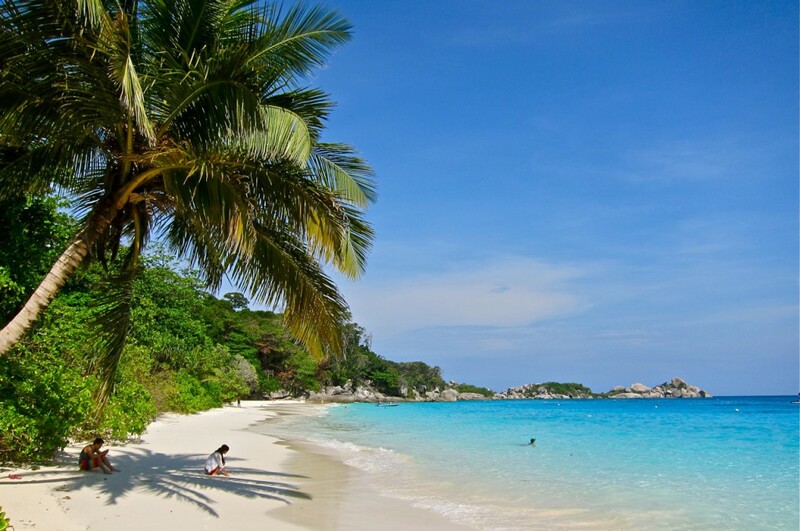 We would like to show you the highlights of the Similan Islands with the least amount of hustle and bustle of crowded beaches and snorkelling spots possible. 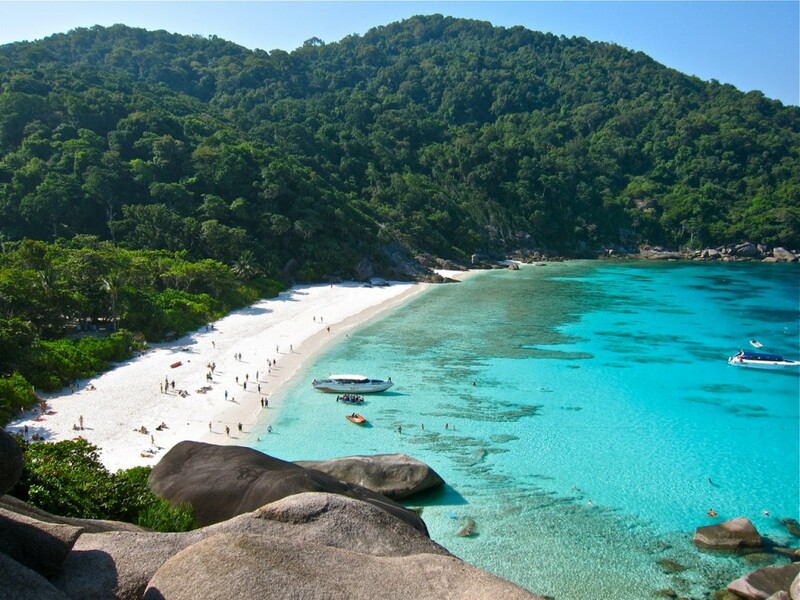 The Similan Islands is a small archipelago located about 66 Km out at sea off Thailand’s west coast at Khao Lak. Nine islands made of granite blocks forming a chain of nine islands that stretch just about north to south. 1982 the islands were declared the status of a national park, attracting countless visitors since then. 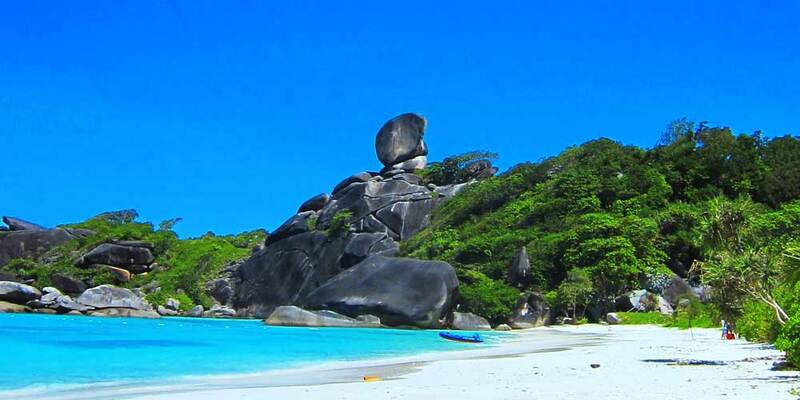 The coral reefs of the Similan Islands have suffered repeatedly in the recent decades. In the mid-nineties, the first scientifically testified coral death occurred in this region. 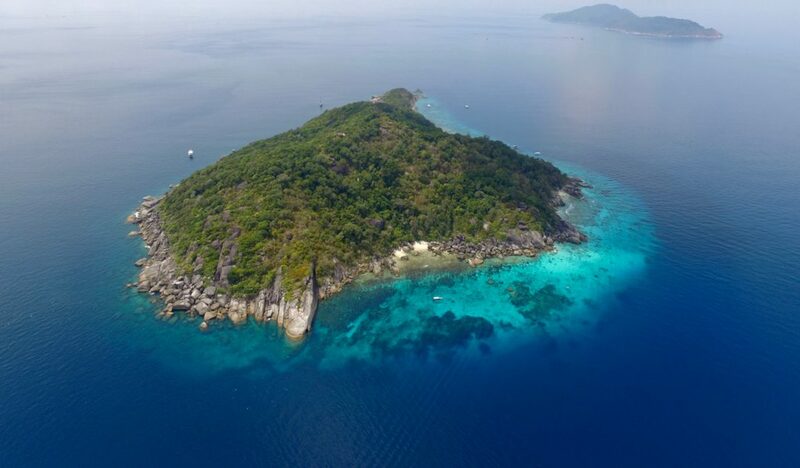 After the Similans had recovered from it the Indian Ocean Tsunami of 26.12.2004 hit the large coral structures without affecting the overall health of the reefs. 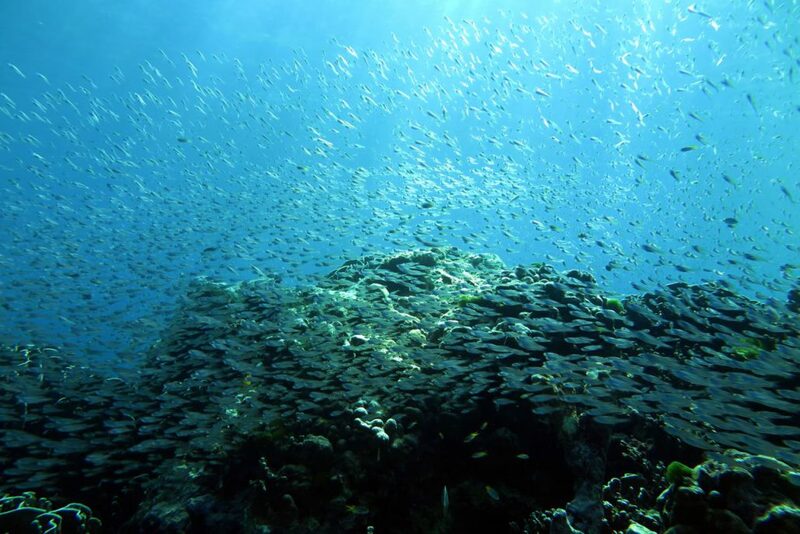 During the summer months of 2010, the latest coral bleaching occurred, which killed about 80% of the corals in shallow water (above 10 meters) – the deeper regions at around 20-30 meters were largely unaffected by this event. Since 2012 growth conditions for corals and the reefs are very good and currently the reefs recover on a surprising speed. 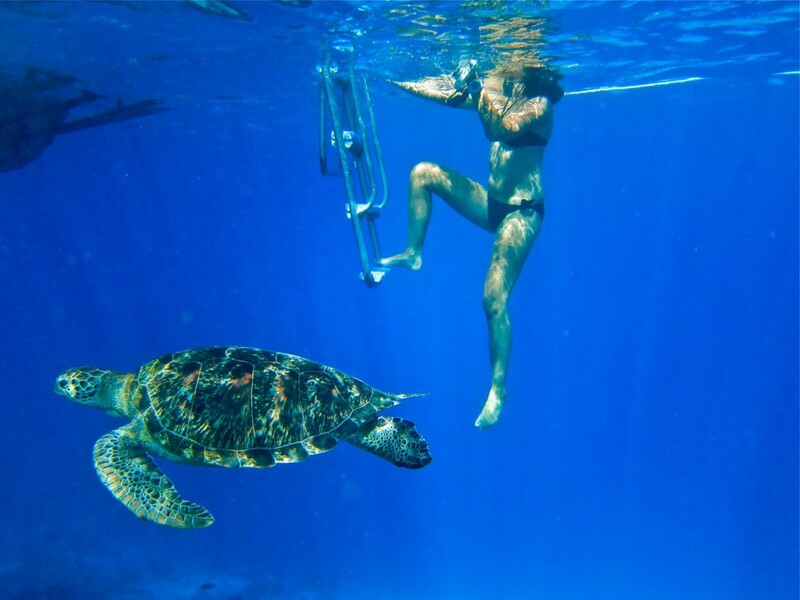 Since 2013, the sea creatures have to deal only with the increasing number of snorkelers, as the daily limit for visitor to the area was raised. Although the reefs have lost much of their original diversity, they still offer a lot of exciting sights for interested snorkellers. First of all there is of course the crystal clear water with its wonderful azure colour and excellent visibility. 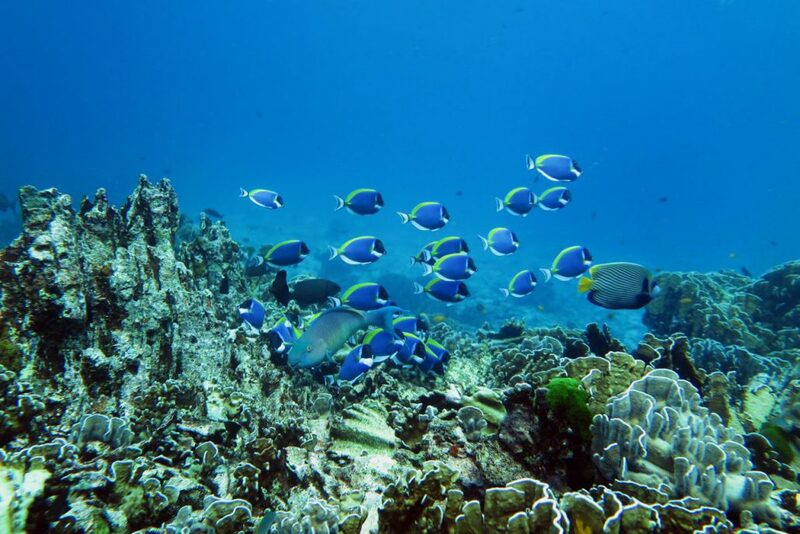 Very common are colourful parrotfish, blue dotted coral grouper and anemone fish like the famous Nemo clownfish. 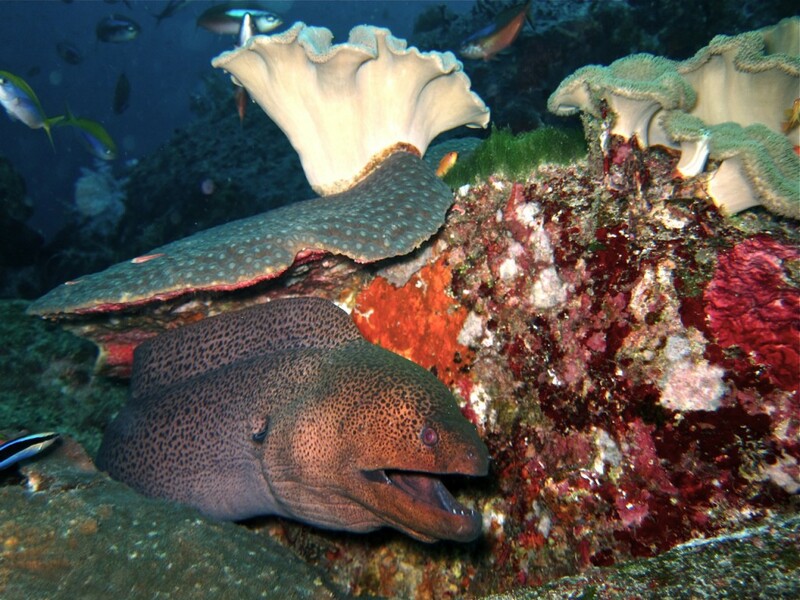 Octopuses, harmless sea snakes and giant morays as well as many other colourful reef fish are abound in large numbers on the shallow reefs above 10 meters depth. lth of top-class snorkeling sites with healthy hard corals, a series of colorful reef fish and other coral dwellers. Besides Nemo clownfish, there are different types of coral groupers, grunts and some species which are indigenous to the Surin Islands. Reef octopus, the banded sea snake, syngnathiformes like the famous seahorse and particularly the pipe-seahorse are to be seen regularly. 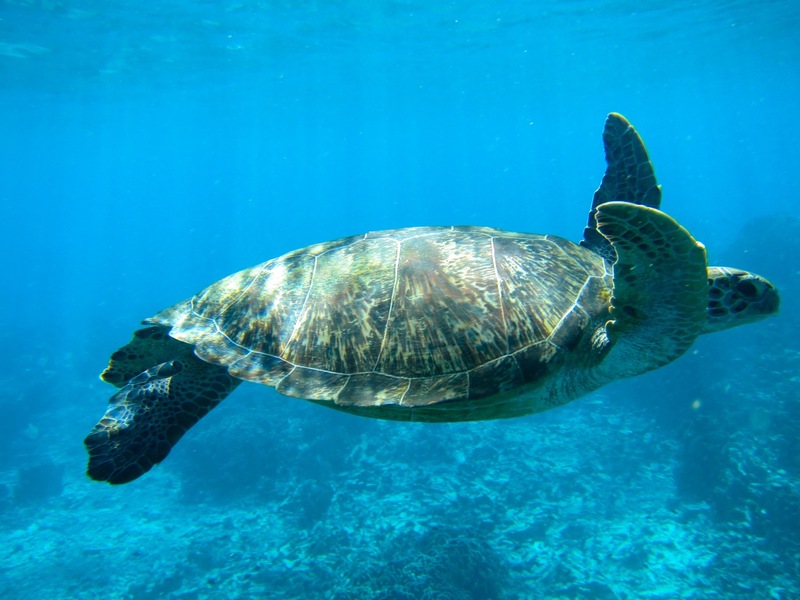 Encounters with turtles, reef sharks and eagle rays are frequent. 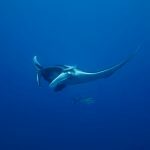 With a little bit of luck you can encounter impressive whale sharks, manta rays and dolphins which often patrol the islands. 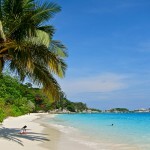 The absolute highlight is of course a swim with either a green sea or a hawksbill turtle. Individuals of both species are under special protection in Thailand. 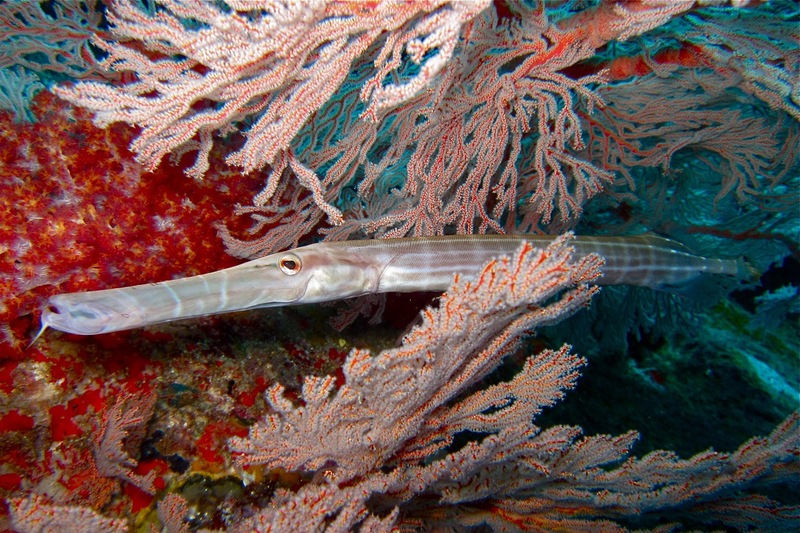 Various breeding programs, such as nest protection by the National Park Rangers, ensure that these impressive animals are abundant in the Similan Islands. The local population have been accustomed to the high volume of boat traffic and snorkelers so they do not show any fear of boats, snorkelers or swimmers. 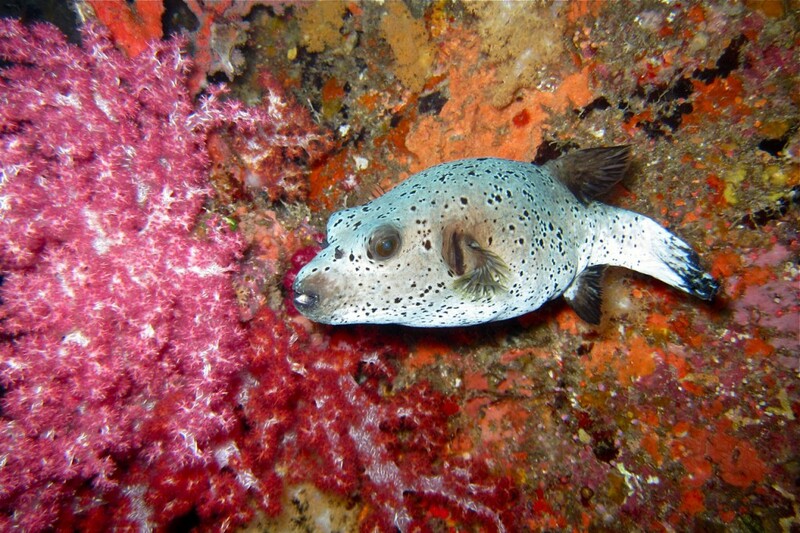 There is always a good chance to swim eye to eye with one of those fascinating reef dwellers at the Similan Islands. Security Check - are you human?